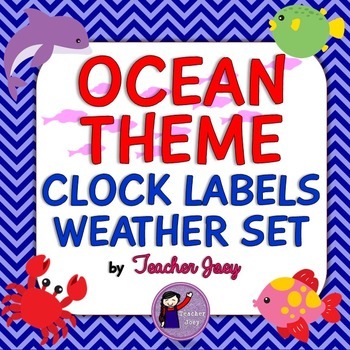 These clock labels will surely match your ocean-themed classroom. These will be useful as your students learn reading time by increments of five. 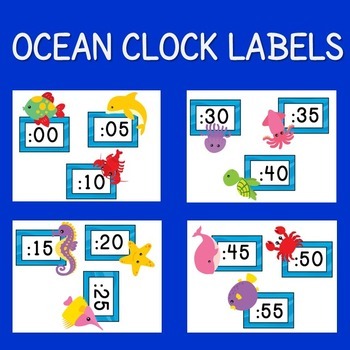 Labels for "o'clock", "quarter to", "quarter past" and "half past" are also included. The weather set includes Today's Weather header and eight types of weather. Please leave your feedback and earn TpT redeemable points! Please hit the follow button for update and freebies!